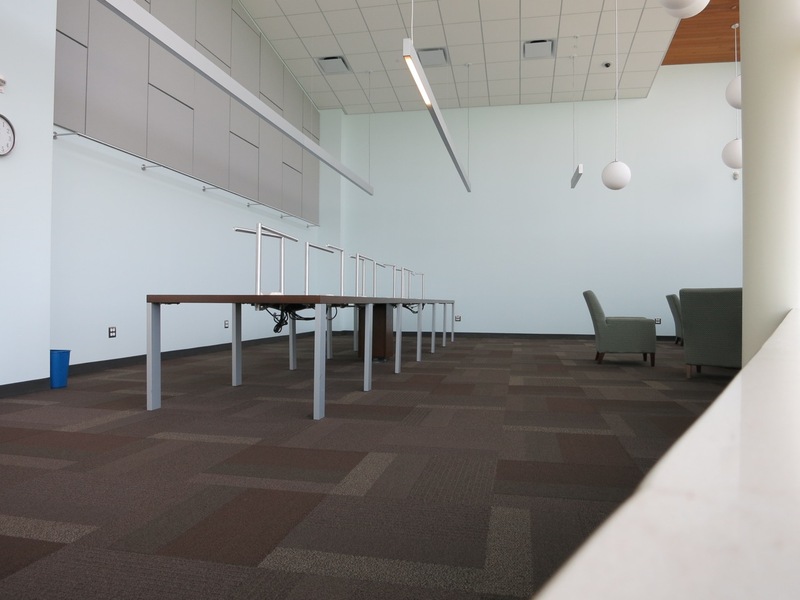 The Fountaindale Public Library Quiet Reading Room, located on the third floor, is now the temporary home for Studio 300. The iMac computers are set-up and running all our software and our knowledgeable staff continue to host programs and one-on-one training. We are continuing to schedule orientation sessions as well. 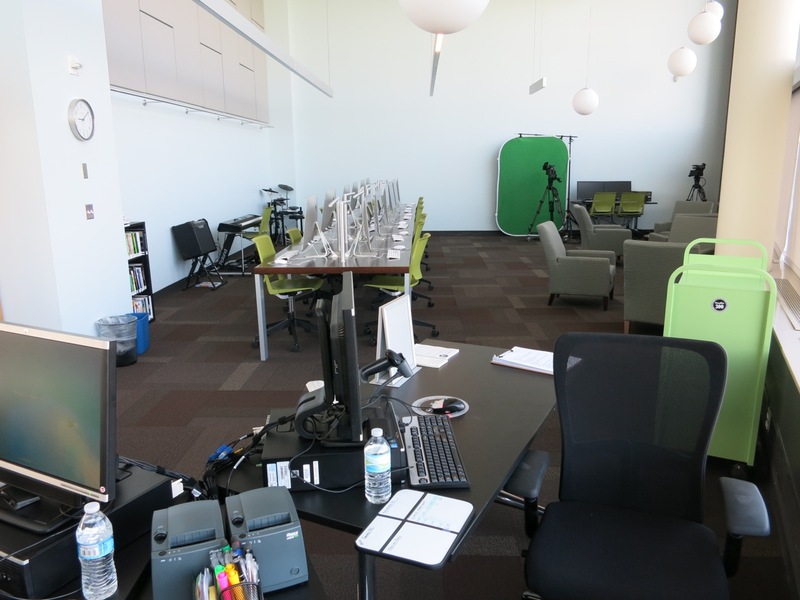 Patrons can continue to learn about the video equipment with our TriCaster, cameras, and portable green screen set-up and get the experience to make videos when the main space reopens. Digital transfers of slides/photos, LPs, and VHS tapes are also available. The 3D printer is running full tilt and there’s standard black and white and color printing. A variety of equipment can also be checked out for a three-day period. 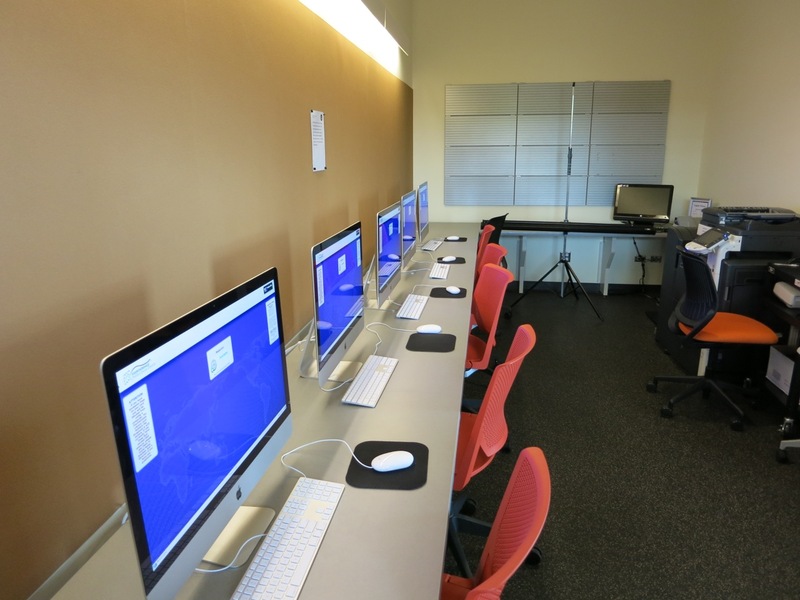 Also, our new Small Computer Lab, located on the third floor next to the Quiet Reading Room, will be used for many of the Studio 300 programs. Popular programs like Making Music in Studio 300 and Photo Organization and Manipulation will continue to be offered to patrons. Please check our events calendar for information. The Studio 300 space in the lower level of the library is currently being repaired from the damage incurred from the April flooding. Meanwhile, plan to visit and work in the new, temporary space. This entry was posted in Studio 300 and tagged 3d printing, creativity, how-to, media, music, photo, Studio 300, video. Bookmark the permalink.